Harriet and I rode back to Easter village as fast as Harriet’s legs could take us. 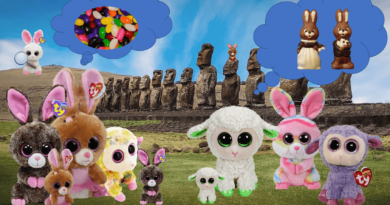 When we got back, we could see the Easter bunny holding a meeting with the Jelly Bean producers, no doubt talking about how to turn jelly beans into bunnies, chicks and eggs. Everyone turned and looked. The Easter Bunny’s ears shot straight up. We caught his attention. We were all in shock. Speechless. Hop-less. Nothing like this had every happened before in our peaceful community. Harriet gave me a lift home where I told the story to my Mom and Dad. I was relieved that nobody blamed me for the missing chocolate – and that we were all going to carve the chocolate back into easter basket treats. But I was still really upset with Hopson, his dad and Petunia – for a lot of reasons. They stole the world’s Easter chocolate and got me in big trouble. And then there was the situation with the Moai. For as long as I can remember, the Moai have been here. 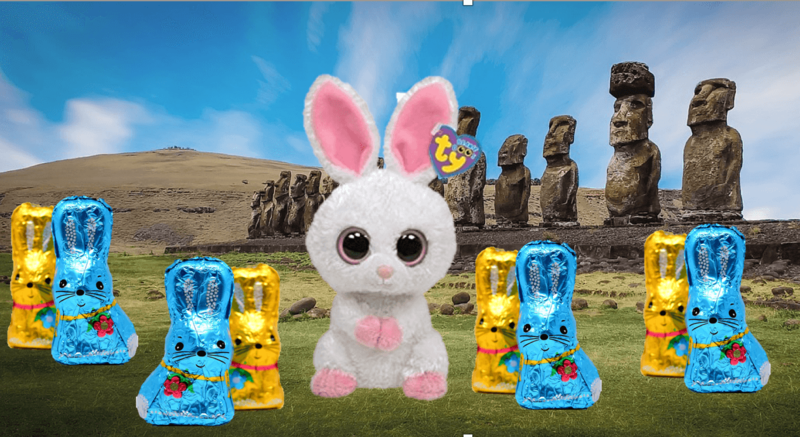 I can’t imagine an Easter Island without them. I took my concerns to the Easter Bunny. He then went on to tell me that I would be a great chocolate carver, especially if I worked hard and learned from my Mom. Our job is to bring joy to the children of the world, to deliver sweet treats and beautiful baskets and open the world’s eyes up to the beauty of springtime. He told me that carving small chocolate rabbits is just as grand as carving the world’s largest chocolate rabbit. Hopson’s Dad was sent to art school in France, and taught how to carve from stone, marble and clay. 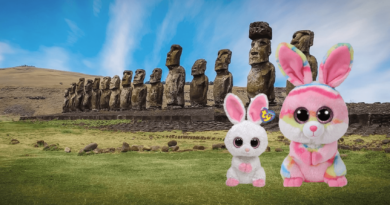 Since returning, he’s been working with a team of archeologists to maintain and restore the Moai statues around Easter Island. Petunia was sent off to Jelly Belly, a factory somewhere in the United States where should can pour all of her enthusiasm into making jelly beans and jelly bean treats year round. My dad now runs the jelly bean factory at Easter Village. And Hopson is now working right alongside me in carving class. We’ve come up with some pretty cool designs for Easter chocolate. 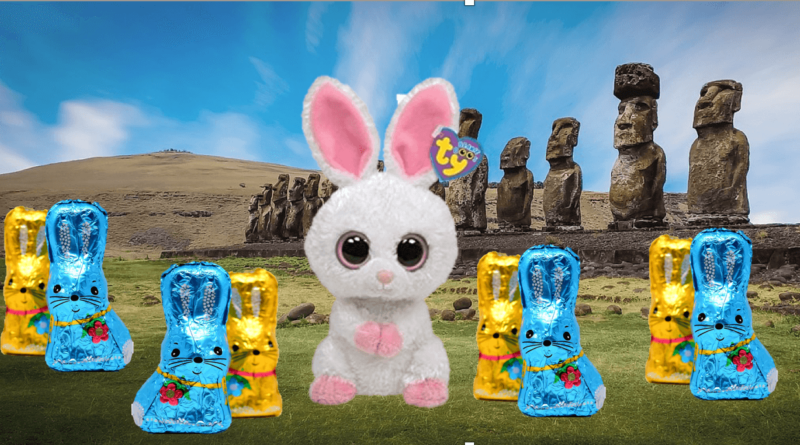 We’ve put the great chocolate mystery behind us and we’re all hopping toward a bright future. 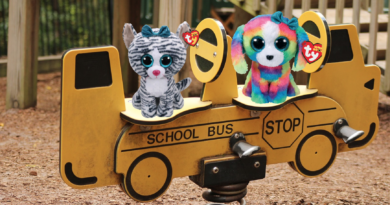 We hope you enjoyed the latest Beanie Boo story series.